Here at Business Catual our goal is to use recycled materials to create pawsitively purrfect bow ties for cats. We are a pet furiendly business intergalactically located in Portland, Oregon, and a portion from Every bow tie is donated to animal welfare organizations! All bowties are handmade with recycled materials. 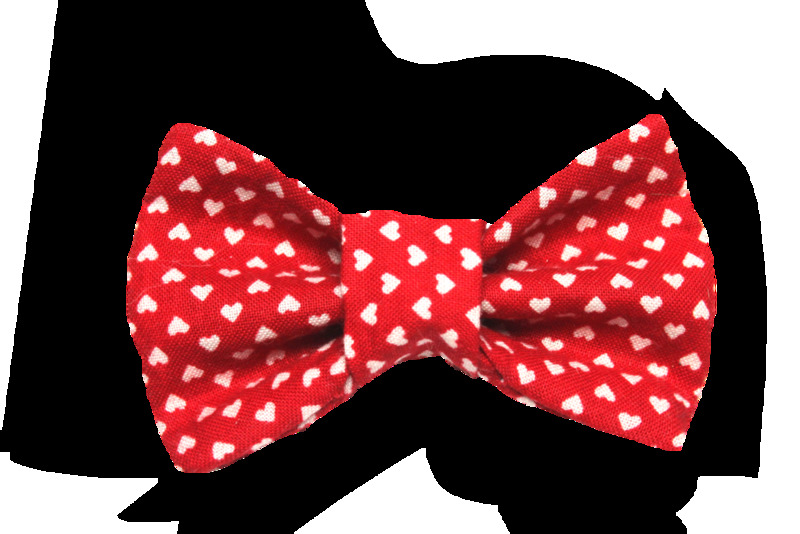 Our cat bow ties simply attach to any collar by sliding the collar through the loop on the back of the bow tie! We love them. 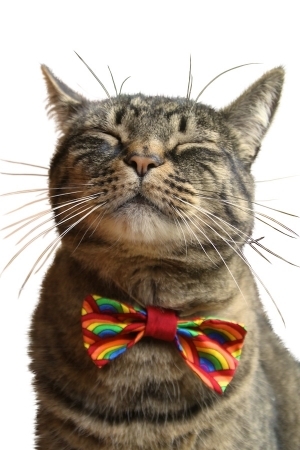 That's why we donate a portion from every cat bow tie to animal welfare organizations. We believe that the money we generate should go help save cats. It's that simple. Every Business Catual bow tie is sewn by hand in Portland, Oregon out of the finest recycled materials. These fabrics have been hand selected from the most stylish post-consumer waste especially to make any cat as dapper as possible. Our process is constantly undergoing changes to improve our style and durability of all of our pet accoutrements.